How awesome is this photo? 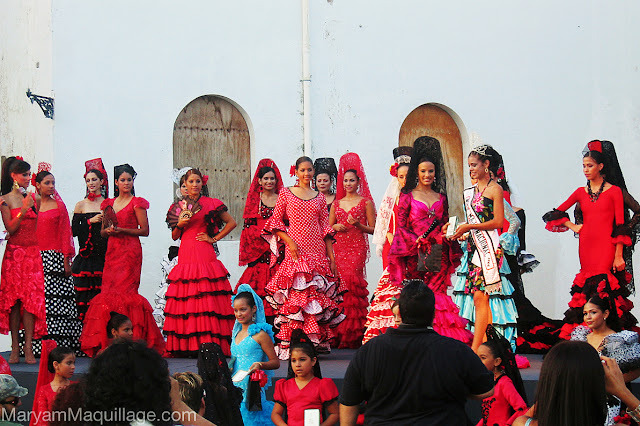 During my last trip to Puerto Rico, I happened to randomly stumble upon this local town square beauty pageant while roaming the enchanting streets of Old San Juan. The atmosphere was festive and welcoming and I couldn't help but gawk at the beauty in front of me. I remember feeling very inspired, moved and totally engulfed by the moment, wishing I could stay there all day. Unfortunately, I only took one photo -- this one -- before I was swept away by my fellow travelers, but I am so thankful that I have captured this image as a visual reference of this experience. I always go back to this moment whenever I think about Latin beauty and the rich, flavorful culture of the Latino people. This special memory from Puerto Rico will stay with me forever and I'll always access it as my personal reference of the beautiful "Spanish Rose". so cute! I love the idea! Nice nail art!! Just fab!! 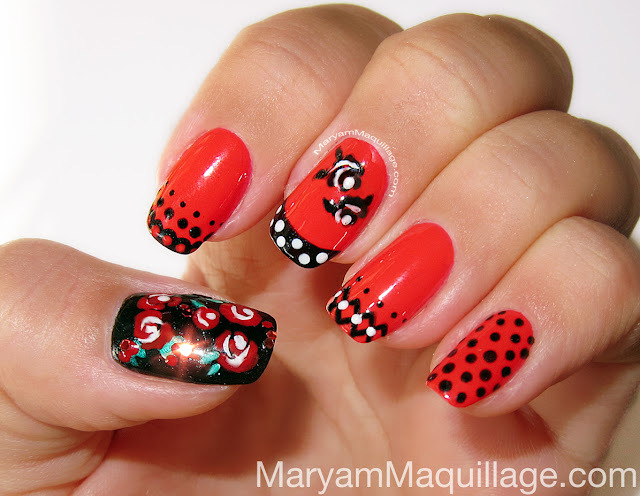 Beautiful nail-art!!! you look gorgeous! Stunning pics of Spanish nail art and local beauty pageant. Loveee the nails!!! You look gorgeous!!! lovely honey it's a party on your fingers lovely lip color as well you did awesome! thanks lovely!! the lippie is Lime Crime's Retrofuturist -- such a perfect retro red!! ahh you're so cute! love the nails and the winged liner! So pretty, I LOVE! as a Latina, I find it Perfect! Wow! come do My nails! LOL! :) Reminds me so much of Spain! That has to be the CUTEST mani I have EVER seen!! Very cute design! I like the Spanish style! Nice photos! Wow very creative and well done! It's gorgeous! Oh wow, I wish I had at least half of your talent in nail art! Aw this nail art looks so cute! And it really looks Spanish! Your nails have such a beautiful shape!! I really love how you do something different on each nail but it still all goes together really well! The photo of the beauty pageant is amazing, I love looking at all of the different styles of dresses!! Excellent post! Look over a guide this way unless the late seventies I personally moved into Sichuan World wide Research projects Higher education. well as Legislations ( now the South west Higher education of Governmental Scientific discipline and also Regulation). In the early 80's, We were accepted that will The far east Imported Extramarital relationships Institution graduated pupils, with the help and advice on the professor, I've truly the primary have an effect on " in the long term Inch series shared the very first gets results in the eighties era of the last century, Inch last night, right now and also the next day In, equally submitted Half inch the United States of North america contemporary non-public World-wide Legislation Classes Inch, this particular monograph in the future produced in laws media. I became the initial Eastern scholastic self-employed. Spanish Rose Nail Art is very nice. 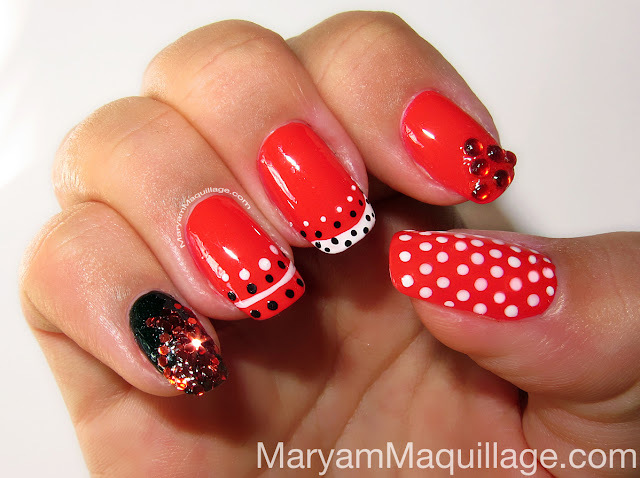 I like this very much I also like your nail art this looks amazing if you match this with your suits. 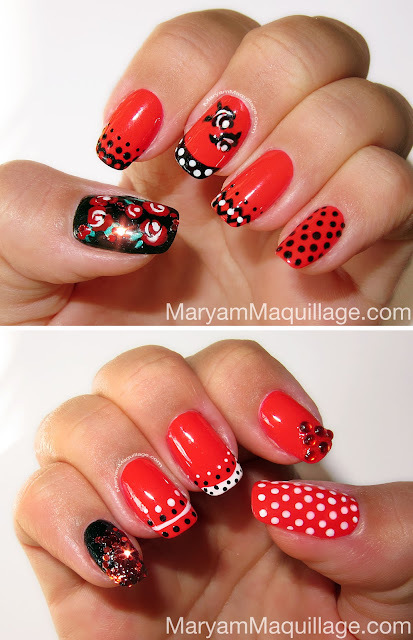 I've mostly like nail art Red roses with white nail polish and others nail are stone red really amazing. Thanks for sharing us.